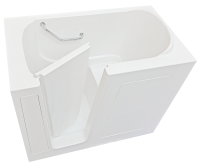 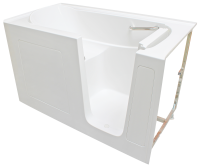 Bliss Tubs’ Model B3252HC Extra-Wide Wheelchair Accessible Walk-in Tub is designed for those who use a wheelchair or full-figured bathers who need to access the seat from outside of the tub. 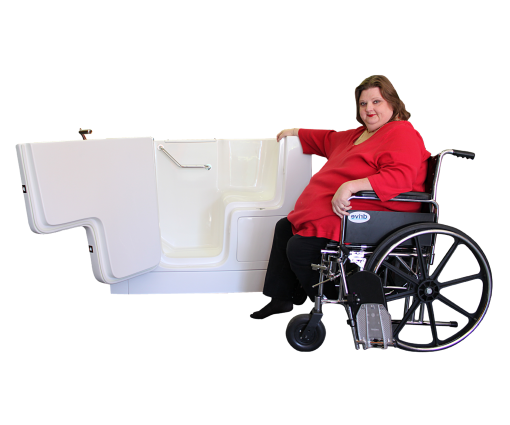 This model allows bathers to transfer seamlessly from a wheelchair or seat into the tub through the tub’s specially designed 34-inch doorway just by sitting down on the tub seat and swinging in their legs. 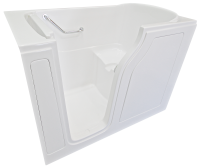 This model is an excellent choice for those bathers that require assistance from a loved one or caretaker. 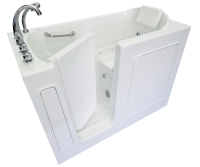 The outward-swinging locking door is available as either right or left hinged and has a compressible door seal to ensure water tightness. 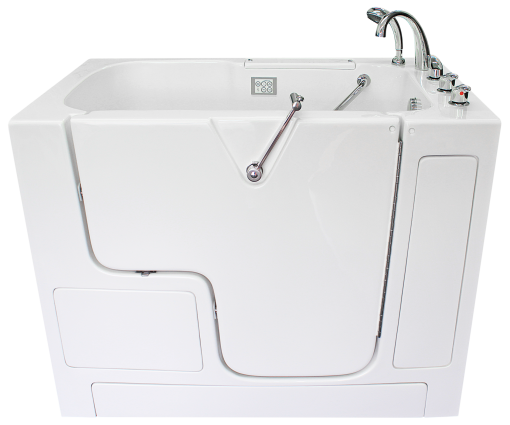 This tub model comes with a 8-inch wide extension kit to fill in a 60-inch space or be cut to tailor the fit to less than 60 inches.